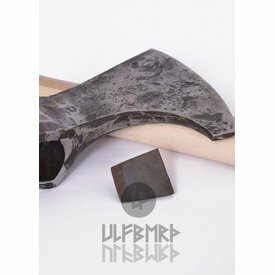 This axe is made after several 10th century originals. 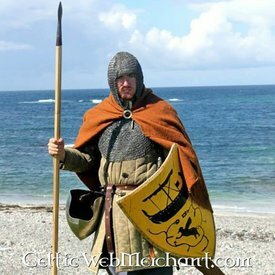 Axes like this were mainly used in Scandinavia, Ireland and on the British Isles. 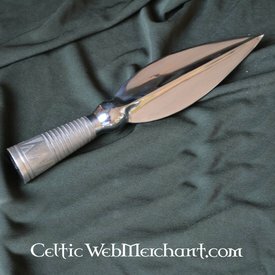 This type of axehead was presumably developed around the 10th century and was used on the British Isles until the 16thcentury. 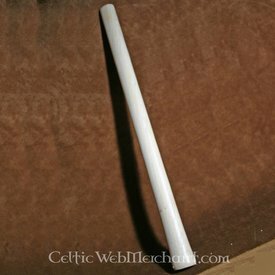 This axe has a haft of 60 cm and an axehead of 10,5 x 18 cm. 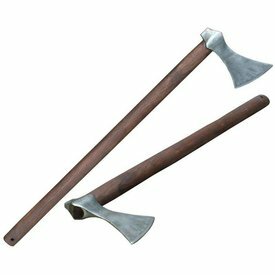 The axehead is made of carbon steel with a hardness of 54 HRC. It weighs 2kg. It is available with and without leather cover, please see the drop down menu above. This axehead is a Petersen type G.